Mission Statement: To produce high quality projects at a Fair and Reasonable Price. Job Expectations: Be on time, Be ready to work and Be able to communicate After years of producing quality work our Mission Statement actually was no longer words on a page but real life. A2M Contractor's strive to not only over deliver on every project's expectation but we do it with the knowledge that we have determined our costs in doing business and understand that based on the commitment to our client, our job and success has been predetermined from the start. We believe in our client's trust of A2M Contractors! When you hire A2M Contractors the three "B's" in a Contracting Company are the backbone of what makes us successful. We are on time, we are ready to work and most importantly we are in constant communication with you the client. We know what makes a difference and it shows! TCE Constructors is a licensed California General Building contractor specializing in Residential and Commercial building construction, project management and consultation. Who We Are: Pacific Coast Residential & Commercial Builders (CA #893292) is a general contractor dedicated to providing quality construction, exceptional, and technical services to our customers with professional integrity. We understand the importance of performing work promptly and utilize project schedules while maintaining the highest standard of workmanship on every job. We build long term relationships with our clients, based on safety, quality, timely service and an anticipation of their needs. Our employees have a vested interest in their work, and so everyone is involved in the quality improvement process. We ensure responsiveness and cost-effective work execution in hopes that our commitment to this mission will result in Pacific Coast Residential and Commercial Builders becoming a premier construction company in the Southwestern United States. Pacific Coast Residential and Commercial Builders was created with a goal in mind to transform landscapes into something useful & beautiful. Our value comes from our operational infrastructure, built on a foundation of modern technology for the single purpose of supporting our great people and providing a great product. Our team of employees participates in the profits of each job where they are incentivized to stand behind the quality of their work with pride. This man-forward concept means we go the extra mile so that our work is appreciated and our customers are more than satisfied with the quality we deliver. 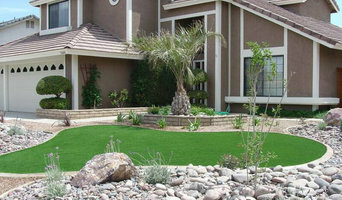 Our focus is on the betterment of your residential or commercial establishment. With a specialty in fire and water damage restoration, custom remodeling of bathroom and kitchen fixtures, and primarily in custom glasswork. With over 30 years of experience, we can assure you that no job is out of our realm. Pacific Coast Residential and Commercial Builders LLC. offers full servicing of water and fire damage restoration. Flood and fire damage is a plaguing problem, and our team is on-call to evaluate what level of flooding your home or business has experienced to serve our communities better. We have years of experience in the home improvement and remodeling industries and we are confident we can create the space you’ve always wanted. Choose from a variety of products, styles and designs. At G. M. Adkins Construction we are dedicated to bringing your dreams of what your home could be to life. With over 25 years of experience, we can handle any project, from simple to complex. We are a small company that has prided ourselves in the highest quality of craftsmanship, customer care, and fair pricing. Our knowledge and skills allow us to complete our projects with the highest standards met and finished on time. Owning a home and loving your home can be two separate things. We want you to love your home. Call us and we can help you see the potential of your home. Remodeling doesn’t have to be a big scary project. It can be simple if you have the right person helping you. Don’t take our word for it. You can read what our clients share with you on their experience with us. Being a small company allows us to give the personal attention your project deserves. From start to finish, your project will be overseen by one person — Gregg Adkins. If you are tired of struggling with too little space in your kitchen or maybe you would love to enjoy the outdoors more by serving dinner under the stars, call us. Let our affordable pricing bring your dreams alive. At CitiZen we work on a range of residential and commercial design projects, from simple bungalow remodels and additions to custom homes built from the ground up. 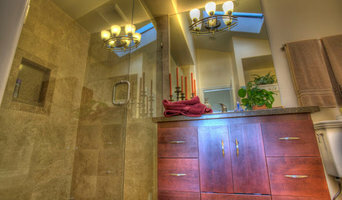 BuildMasters Contracting, Inc. has been servicing the San Diego area since 1993. Our deep understanding of contracting has allowed us to deliver high end services without stretching your budget. Isn't it time you live in the home you've always wanted? My skills and experience brings a thoughtful approach to your project as a whole, and to all the details that make your home feel uniquely yours. Each project I undertake starts with you - what are your needs, desires, and dreams for your home? Let's explore how to make your home more livable and beautiful today. No Job too big or too small. First we design with you and then professionally build for you. We offer a one-stop shop! Use our creative designers to help you choose the right style, materials, texture and fabrics. We are a full-service remodeling company... meaning we are capable of handling all aspects of kitchen renovations from cabinet replacement to refacing and any variety of countertops and flooring. At Sheryl Singer Interiors, our goal is to provide excellence in all areas of interior design with an unparalleled level of service and quality no matter how big or small the project is. 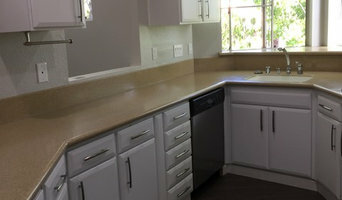 We are a General Contracting service located in San Diego since 1980. As Certified Aging In Place Specialists (CAPS) we focus on Universal Design and making homes functional, safe, and aesthetically pleasing for all demographics. We have the sales expertise, service, and professional installation process that we will guarantee to exceed our customers’ expectations. Our team has been in the construction industry for 45+ years. No matter what your project entails, from residential to commercial building, the professionals at Lion & Lumber Construction can help. 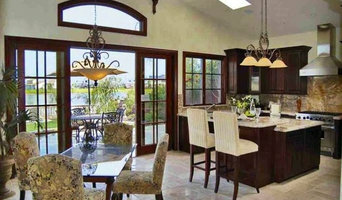 Mr.D's has been serving San Diego County for 33 years providing the best in remodeling, renovation and custom painting. Y9 Construction has developed an unmatched reputation for quality, integrity, and professionalism. We are proud to consistently meet and frequently exceed our customer's expectations. MADesign & Drafting is a boutique design and drafting firm in Poway, CA specializing in high end remodels and new construction primarily in the San Diego coastal areas. At MADesign, we LIVE the full design. We listen to homeowners to make their dream home a reality, right down to the smallest detail. Our business is driven by current client referrals, repeat business and residential real estate developers. With more than 12 years of combined experience we always go above and beyond to deliver the best service to our clients by exceeding their expectations. We're proud to serve residents of San Diego County and our contractors are dedicated to always delivering friendly and attentive customer service. We Create Exceptional Living Spaces For The San Diego Lifestyle! Greg Kohler General Contractor, Inc.
We are a family owned business who take pride in remodeling our clients kitchens and bathrooms to match their dreams. We work very close with all of our clients. We have the capacity to undertake building projects from all phases including concept, design, feasibility, planning/construction documents through construction with a turn-key completion. Reyes Architects specializes in creating memorable destinations and spaces, which are relevant, unique and experiential. While balancing innovative design, advanced technology, and economics. Whatever the project, our goal is to provide exceptional service, exciting design and experiential destinations. An incredible successful grassroots collaborative design process with clients, through workshops, planning circles and informal forums, generates unique homes, with distinctive qualities and character which is inherent through the design search. Our ability to extrapolate the essence in each project balanced with a dose of reality is the challenge which we strive for. In all our projects collaboration with various consultants early in the process to identify key project issues, hence ensuring timely, creative and strategic solutions. The process assures conformance to the client's vision and goals for development through the interpretation into design character guidelines. The Guidelines are intended to offer inspiration and potential solutions for important components of the project. Over the past 20 years, we have proudly served Southern California while providing a professional yet personal experience. Our mission is to build and design your space according to your wants & needs. Solana Beach based General Contractor specializing in new home construction, room additions, kitchen and bath updates, window/door replacement, energy upgrades, decks/patios, flooring and painting. Both small and large projects, fair & honest pricing, clean and professional workmanship. Coastal specialist in custom residential, commercial, multi-family & hospitality. Marengo Morton Architects treats a property as a sculpture with its own unique composition of function, shape & style. With more than 25 years of experience in construction consulting services, SunPalm Development Inc. specializes in cost estimating, value engineering, cost management. We are well regarded for the quality of our work, our collaborative approach and our ability to work well within the professional teams we develop. CID Rummy Dechner & Associate is an Residential Design firm in San Diego & Los Angeles offering complete Residential and interior design services. Full service residential and yacht design. Cynthia Holloway brings 12 years of design expertise and over 24 years of business savvy to her clients noting "We all desire to live with beauty…… whatever that may be for each individual. Creating a space to call "home", design that reflects our spirit, lifestyle and passion, which brings rich appreciation and pleasure to our life. That is what CCH Design achieves for our clients". sk7 design studios specializes in providing creative, skilled and experienced residential design and drafting services for new custom homes, remodels, and additions.